If you own a property which is a building, plot or land attached to such building, then any rental income from such property will be chargeable to tax under the head “Income from House Property”. One important point to be kept in mind is that such a property should not have been used for personal business or profession. So even if you own a shop (which is a building) and given it on rent, than income from such shop will be taxed as “Income from House Property”. What is considered as House Property? Let’s understand what exactly house property means in order to understand the income from house property. House property consists of any building or land attached to that building. The land may be in the form of a courtyard or compound forming part of the building. House property includes flats, shops, office space, factory sheds & farm houses. Further, house property includes all type of house properties, i.e., residential houses, godowns, cinema building, workshop building, hotel building, etc. What conditions need to be met? The property is being used for any purpose other than for carrying out business & profession. Income from self-occupied house property is the property which you are using as your own residence throughout the year without letting it out or using it for another purpose and since you are using the property for your own purpose, there will not be any income from the same property. Thus your income from self-occupied house property will always be NIL. Income from let out house property: In case if your property is let out, you will receive rent from your tenant(s). This rent income will be taxed as your income from house property. In short rental income received by the owner from letting out the house property will be taxed under income from house property. Rental income from subletting is not taxed as income from house property since in that case person receiving the rent income from subletting is not the owner of the property. How to calculate Income from House property? First we determine the Gross Annual Value. The gross annual value of a self-occupied house is zero. Whereas in case of Let out house, it is the rent collected. Since the gross annual value of a self-occupied house is zero, claiming the deduction on home loan interest will result in a loss from house property. This loss can be adjusted against income from other heads in the current Assessment Year. Losses that cannot be set off, shall be carried forward up to 8 assessment years. You can claim home loan interest on any number of homes you own. The home loan benefits can be categorised into two parts, principal repayment and interest payment. Benefits for principal repayment are available u/s 80C and since the maximum deduction limit u/s 80C is Rs. 1,50,000 for AY 2018-19, you can not avail the benefits for more than Rs. 1,50,000. The benefits for home loan interest payments are available u/s 24B and 80EE of the income tax act. As per income tax act, you can have only one home as self-occupied and for that, you can claim the home loan interest benefits u/s 24B up to Rs. 2,00,000. For all the let out and deemed let out properties, you can claim the home loan interest benefits u/s 24B without any limits. Tax benefit on loan repayment of second house / Let-out property will be restricted to Rs 2 lakh per annum only (even if you have multiple house the limit is still going to be Rs 2 Lakh only and the ceiling limit is not per house property). This was a new proposal which had been made in Budget 2016-17. The same will be continued in FY 2017-18 / AY 2018-19 too. First time Home Buyers can claim an additional Tax deduction of up to Rs 50,000 on home loan interest payments u/s 80EE. The below criteria has to be met for claiming tax deduction under section 80EE. The home loan should have been sanctioned during / after FY 2016-17. Disclaimer: All information in this article has been provided by Quicko.com and Relakhs.com is not responsible for correctness of the data. Quicko is engaged in assisting in online ITR preparation and filing. You can sign up with Quicko.com and efile your tax returns within minutes absolutely free. The author can be contacted at [email protected]. Currently I am leaving in rented house .I have my own flat in same city . so please tell me can i claim both HRA and loss on home loan?but my own flat is vacant i have not given it on rent . is there any such criteria that distance between my rented house and Own house should be more then 30KM ,Will you please clarify . You can claim HRA as well as loss on your property. You can claim it as ‘Let-out property kept vacant’. I believe that no such restriction is there in case you would like to let it out. First of all let me thank you for helping the queries and clearing out the doubts. I purchased a house in 2006 and cleared my loan till 2010. I am staying at this house now. In year 2011 i purchased another house in joint ownership with my wife. Its on rent since we purchased it. Since 2011 we are taking tax benefits (50-50%) for the second home we purchased? Now i have been filing IT returns in ITR1 form and showing the interest component + house rent for tax calculations. Is this correct? Do i need to fill ITR2 for and show my old house as SOP and the new one as deemed out? If you have multiple houses then you need to file ITR 2. Kindly read : Which ITR form to file? Just to clarify, i don’t have income from one house where i stay currently. There is no loan on it too. The link which you mentioned says that ITR2 shoudl be filed if there is income from multiple houses. Dear nilesh .. We calculate the income whether it is Self occupied property or let-out one under the head ‘income from house property’. I believe you should file ITR 2. 3. So, total income from house property= 1,50,000-5,000= Rs.1,45,000-(30% std.deduction for maintenance) = Rs. 1,01,500. 5. Loss of income from house property= Rs. – 48,500. 1. As full EMI is deducting from my wife’s a/c, so tax exemption u/s 80C for principal part of EMI can be leveraged only by her. Is my understanding correct? 2. For april and may months, for which interest got deducted from joint home loan a/c, can either of us claim tax exemption u/s 24B? or both of us partly? 3. Income from house property gets adjusted to income of all the owners of property equally in case property is Let Out. So the concern is in our case also will it be same OR will it be adjusted in my wife’s income only as she is paying EMI. Ex. In our case as stated above, loss of income = Rs.48,500. Will that be adjusted as 24,250rs loss from her annual income and 24,250rs loss from my annual income? Seeking your views and suggestions(if any)..
2 – If she is planning to claim 100% tax exemption, let it be same for the entire Financial year. You may request your banker to issue home loan statement in her name alone. 3 – Ideally, the rental income has to be disclosed by all the owners in their income tax returns as per their ownership share in the property. I Agree. So, does that mean distribution of rental income to all owners are irrespective of loan paying. In that case, loss of income will be adjusted to both of us separately. Am i right? In your case, as your wife is paying 100% EMIs and also going to claim 100% of tax rebate, may be it is advisable the she only declares 100% of rental income in her income tax return. for this financial year 2017 – 2018.
whom we should get this certificate. Yes, you can claim both. OC is not required for independent house. Thanks Sreekanth for your quick response. I am buying a individual house through loan of Rs. 40L , this is my first loan and first home. My father and myself are sharing the EMI ( 30 years term) of Rs.39,333/- for the first 6 years starting from April 2017 , as he is the co-applicant. I am paying NPS around Rs 50,000/-(employee contri), LIC- Rs. 70,000/-. Kindly advise me on the tax benefits for housing loan, first home benefits under 24B ( or else). I own a house with 2 independent floors. The ground floor is self occupied and the first floor is let out on rent. I have a housing loan on which I am paying a total interest of 4.80 lakhs per year. According to new provisions in budget 2017 can I claim interest of 2 lakhs for self occupied portion + 2 lakhs for let out portion ? As per the budget 2017 proposal, the set off loss under income from house property under any other head of income has been restricted to Rs 2 lakh. 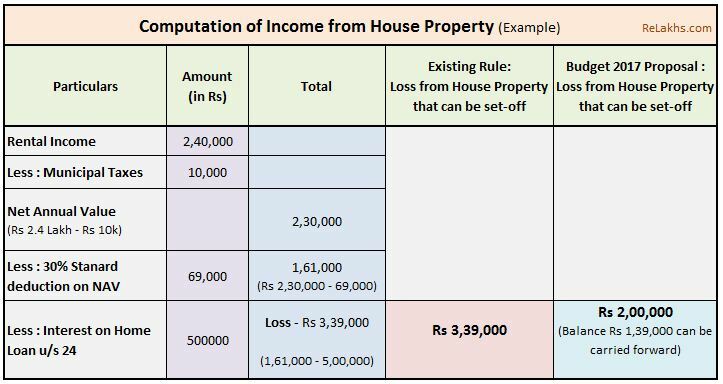 So, maximum loss that can be claimed under house property head in your income tax return in a financial year is restricted to Rs 2 lakhs. This limit is applicable on loss due to interest on all properties in total, maximum allowed is Rs 2 lakhs only. I have one independent house with two separate portions. Ground floor is self occupied and the first floor is let out on rent. I am paying a total interest of 4.8 lakhs per year. According to latest provisions in the budget 2017, can I claim interest on housing loan 2 lakhs + 2 lakhs ? House has been taken on rent by my wife and want to know that can she sublet the same to me. If yes, what would the tax implications and is there any materiality limit upto which I can only pay her as rent. Also, would this income in her ITR be considered in income from business / profession or house property. Dear Rajesh ..I believe that this is not possible. Really appreciate your quick response but in light of the recent judgement if the wife is earning husband can pay rent to her. Therefore, I had a this query that this should be applicable incase of sublet too. I am not sure on this. If possible, kindly share any link/source regarding the judgement/court trial. Please refer the below link, if this helps! Ok. Thanks for sharing the link. I am not sure how convincing is this judgment, not sure if this is again challenged at another high court or Supreme court. So, if you can justify your stand, if there is a notice, you may go ahead based on this judgement. I have recently purchased one home on LIC Home loan and that was occupied by my parents and i am staying in different city on rental home, please let me me know whether I can claim HRA and Home loan Tax exemption. Also please let me know how much is the Amount limit for Home loan Tax exemption and whether it is included in 80c. Principal repayments can be shown u/s 80c up to Rs 1.5 Lakh. You can declare your property as Self-occupied one. I have bought home in June’2016. After renovation, I moved in the new house in Nov’2017. From Apr’2017 to Oct’2017 I was living in Rented property. The interest for Year 2016-17 was Rs 3.5 Lacs. Can I claim tax exemption both Rent and Interest paid. Yes, for the respective periods. Ownership is relevant for the previous year As tax is levied only on the income of previous year, annual value of property, owned by a person during the previous year, is taxable in the following assessment year, even if the assessee is not owner of the property during the assessment year. Dear NISHAD ..Agree with the point. What would you like to know?? I wanted to know whether Income from house rent during FY 2016 -17 is taxable during 2016-17 or in 2017-18. Please clear the doubts. How is it interpreted? Rental income received during Financial Year 2016-17 (from April 2016 till 31st March 2017) is taxable in that FY itself, you need to file your Income tax return before July 2017, for Assessment year 2017-18. Financial year starts from 1st April and ends on 31st March (wherein there is income pertaining to the whole year or part of the year). Assessment year is the year immediately following the financial year wherein the income of the F.Y. is assessed. I have two flats in one is self occupied and other is let-out. For Self Occupied Loan is already closed. For Let-out property claiming exemption of 2.9 Lakhs on interest. I understand I will have to shell out more tax from 2017-18 for this. I am planning to sell self occupied property and invest more to buy a own villa, for self occupation. So I will have to get some new loan for villa. Whether I will be able to claim exemption of 2 Lakhs for that also? Yes, on self-occupied property, you can claim Rs 2 Lakh and as you reightly pointed, the loss from Let-out property is restricted to Rs 2Lakh from FY 2017-18. Kindly read: Budget 2017-18 & 15 important Direct Tax proposals .. Thanks for your informed articles. Please help me with my below query. I have two flat in same complex. First flat I have given on rent and is loan free. There is ongoing loan for the 2nd flat where I am staying with my family. Since my 2nd flat is on loan, I want to show this flat as let out and show the first flat(which is actually occupied by tenant) as self occupied so that I can avail full interest payment benefit which is higher that Rs 2 lakh. Is it permissible as per law to do as mentioned above? Also I want to revise my return file for AY 15-16 and 16-17 with this above mentioned chage which will get me significant refund(more that Rs 30k per year). Can I do so? Last thing I want do is to show my share of loan is 50(even though my wife is home maker with no income but co-owner of my 2nd flat). I noticed this also increases my tax refund amount compared to when I am showing it as my share 99 and wife’s 1. Can you please explain why it is so and can I do as 50-50? Thanks a lot in advance. I’ll eagerly wait for your response. If you have two self-occupied properties, you can then have a choice to pick either of the two as let-out/self-occupied. As you have given one flat on rent, there are chances that your tenant(s) may claim HRA quoting your PAN, so suggest you to continue disclosing the income from house property as it is.. If you are the one who is paying entire EMIs, you can claim 100% tax benefit, your spouse can give you a self declaration regarding this (that she is not going to claim tax benefits). Suggest you to do this way from this Assessment year. Thanks for your reply. Your reply raised my some more queries. Please advise. For the AY 15-16, I was getting my second flat ready to move in and hence around 6 months I occupied both flats and not was on rent. So is that ok in that case if I show my 2nd flat instead of my first flat as let out for remaining 6 months of the year? Also my current tenant has his own small business and I know that he is not claiming HRA for the rent he is paying me for my 1 st flat. In this case can I go ahead and claim my 2nd home to be let out? Thanks again for your response. I’ll look forward to your further advise on this. You may do so, if you can justify your stand. Thanks again Sreekanth for taking out time to reply me. I promise this is going to be my last set of queries related to this. Please answer me. I am planning to file revised return file for AY 2015-16 before 31st March 2017 as I have filed my original before 31st July 2014. Am I ok here? As mentioned previously, out of my two flat either one was vacant for 7.5 months in AY 2015-16. So for this period(which is more than half of the year), I want to declare my bigger flat which is on loan as deemed let out property. But remaining 4.5 months of the year my small flat was on rent(which I want to declare SOP for full year even though I stayed there close to 7 months only) for which I received rent less than 1 lakh and hence my tenant not required to furnish my PAN. Since we can’t show 1 flat as SOP for 7.5 months and other one for 4.5 months, I would like to take the bigger portion to declare my choice. Please confirm if my point is as per the rule and if I have justifiable points for the same. If IT dept has already processed your old ITR and assessment has been done, I doubt if one can REVISE his/her ITR in such circumstances. Suggest you to consult a CA and take advice. As per Budget 2017 – for loss on let-out property (after calculating loan interest and rentals, deductions) is now limited to 2 Lacs only and remaining can be carry forward. I want to understand if someone has 3 properties as let-out and has loss from property of more than 2 Lacs on each property (after calculating loan interest and rentals, deductions). Pls clarify can person claim 2 Lacs loss on each property or 2 lacs is combined for all 3 properties. I believe that it is Rs 2 Lakh combined for all 3 properties. In budget, Heads of income have been referred to, “Set-off of loss under the head ‘Income from house property’ against any other head of income shall be restricted to two lakh rupees for any assessment year”, so it can be implied as for ‘multiple properties’.
. I have some query. I have two flats in city. Both are given on rent as both flats are away from work place. and I myself stay in rented flat. My one flat is under home loan whereas for other flat no loan taken. I am salaried employee and an Indian citizen. My query is can I claim home loan interest component exemption along with principal from taxable salary? also can I claim HRA exemption since I stay in rented apt? And also show rental income less of municipal taxes paid for both flats? Glad I saw this post. I have some query. Yes, you can claim HRA exemption, interest payments as tax deduction, 30% standard deduction on both properties, deduction of municipal taxes paid on both the properties.. If you get rental income then you can deduct above amounts (except hra) and calculate ‘income from house property’ for both the houses. Kindly read: Income from house property & tax benefits on home loan. Is it necessary to claim these that rental agreements to be registered (duty paid)? Seems few employers ask for registered agreement copies only else they don’t consider rental income and HRA exemption too (since staying on rented flat) In short all 3 agreements for 11 months are not registered. what if its not registered and agreements are notarized on 100 Rs. stamp paper? Legally, the rental agreements have to be registered to make them valid docs. But most of the employers do accept normal rental agreement which is done on Stamp paper (duly signed by both parties). So, it depends on Employers’ compliance requirements, which may vary. My employer is ready to accept normal rental agreement which is done on Stamp paper (duly signed by both parties). but needs declaration from me on 100 Rs stamp paper that any issue arises Company wont be responsible but me. Is it ok to submit such affidavit. What’s your thoughts on this? If your case is genuine (paying rents especially through online/cheque mode), I dont see any issue in this..
Me and my wife both are working professionals and buying a property in which 80% amount is taken as home loan from bank. I will be first owner and she will be co-owner in that, and similarly i am primary applicant and she is co-applicant in home loan. In that case, bank people said both will get tax claiming certificates. However, as both of us are individually eligible to pay monthly EMI’s, so we can either pay individually or both can pay 50%-50% EMI amount. Also, this property we are going to let out. So my query is, if any one of us are paying full EMI. Then the income from house property will add to that individual’s income or will that be added 50-50% to both of our incomes as we both are equal owners ?? Pls suggest whether will it be good decision to pay EMI amount individually or both should pay 50-50% EMI. Yes, rental income has to shared as per the ratio of ownership in the property. If it is 50:50, both of you have to declare 50% of rental income received in your income tax returns. If both of you have to claim 50% of EMIs as tax benefit, can pay EMIs through joint account. I have a shop which i let out in the month of Novrmber 2016 and due to some undue reasons the tenant had left the tenancy contract in the month of December 2016. For one month period i have received the rent amounting INR 18,000. Right now the shop is vacant. Please let me know if the shop remains vacant till March 2017, how would i will be filing my tax return under the head Income from House Property? This is a case of ‘Let-out property kept vacant for the part of the year’. You can deduct property taxes (if any), 30% of actual rent received & home loan interest (if any) from actual rent received and declare it as ‘income from house property’ in Income Tax Return. Hi, Iam stayinin govt accodation of husband and both of us not getting hra. We own a flat in same city and whether the rent fom thisFlat is taxable? Dear Jeyasree..If you are showing it as Let-out property, rental income is taxable. I have a query on house property.i hv a house in blore which is unoccupied from oct and on loan.I am currently staying in pune and paying rent due to my tranfer.so can i show any other amount for IT apart from claim in 80C and 24. If HRA is part of your salary, you can claim HRA exemption. Kindly read: List of income tax deductions under various Sections. Dear satish ..Yes, you can avail the entire interest amounts u/s 24.
hi iam harikishan ,iam salaried person and we purchased a flat in joint name of my wife.i would like to avail the interest of home loan and my wife principal. is it right way as per income tax rules. I believe that it is not allowed. lets say, in the same financial year..i stared for about 4 months in the Rent house and rest in Self occupied property. In this case can i avail both HRA and House Loan exceptions? Dear guest ..Yes, for the respective duration. My father paid for the complete site registration by his account and got it registered under my name to get the loan for construction as my father was retired and didn’t have any income. Now the house is earning interest. Is there any way my father can also be part of that income, as he paid for the registration ??? or Is there any way to make my father to be accounted for that share of that rented income. You can get your father’s name included in the Sale Deed and make him co-owner of the property. 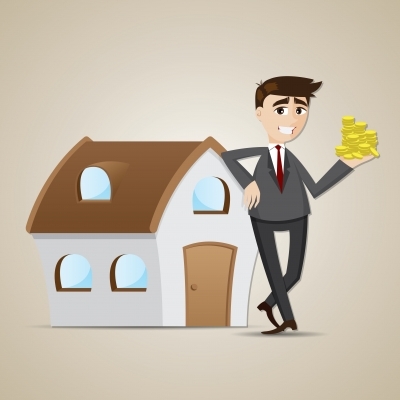 Kindly read: 5 ways of transferring the Real estate property! Hello – I took under construction home around Sep-2015, and My EMI started from Feb-2016. Initially Builder promised hand over was around DEC 2016,Due to delay in construction had over date moved to Jun 2017. If you get the possession of proerty in Jun 2017, then you can claim PPI + Regular EMIs as tax deduction (subject to ceiling limit, if any) from FY 2017-18 / AY 2018-19. I have 2 home loans from SBI. How can I get the PAN number of SBI for form 12BB? Dear Arjun..please contact the concerned bank or financial institution and get PAN number. Please provide SBIs PAN number if you have got the info. As well as please tell me which interest amount can i claim and where i think interest amount will reflect twice one under income from house property and second amount for claiming and will the interest amount under both section will be same or different and should the interest amount under both the section should be negative or only i have to show negative under income from houseproperty and positive for claiming under section? You may show it as ‘Let-out property’ and show ‘nominal rental income’ and deduct the interest payments from the rental income. Yes you have to show the interest amount as Negative figure. The premium paid towards PMJJBY scheme is eligible for tax deduction under section 80C. Thanks for your reply.Sir i am going to shift to that flat so can i show it selfoccupied and from may 2015 to dec 2015 it was underconstruction so i want to know which interest amount i should take the interest i paid when the property was underconstruction or after the possession i paid interest.As well as same query for principal amount which amount i should show under section 80c underconstruction principal amount or after possession principal amount.And which interest amount i can claim after possession or when it was underconstruction. I have bought an under construction flat in NOIDA(my 1st property) in Oct 2012(FY12-13) and got the possession in Feb’2016(FY15-16). My office location is in DELHI and I reside nearby my office location and don’t want to shift to my flat in NOIDA and rather want to LET OUT. Although till date my flat is vacant since i got the possession in Feb’16. As part of income tax deduction during FY2015-16, my employer provided me the tax rebate of Rs 2 Lacs under section 24(b) considering it is an SOP, when I asked them about my willingness to treat it as LET OUT(because I have paid more than 2 lacs on home loan interest in FY15-16 which also includes PPI amount), the employer explained that it is too late in current FY to treat it as let out and suggested me to leave it as SOP only in the FY15-16 and they will consider it as LET OUT in next FY. Please suggest should I claim refund in ITR after declaring my flat as LET OUT ? Did you file your income tax return for AY 2016-17? (as SOP or let-out)? I have filed ITR of AY16-17 as SOP but I want to revise it and claim it as LET OUT, is it not possible now…? Dear Rakesh..I believe that you can REVISE if your ITR has not yet been processed. 1) if my my case is good enough to claim refund by treating my flat as LET OUT from AY16-17 itself ? 2) As I got possession in Feb’16 i.e. only two months in AY16-17, how to calculate rental income ? You can show the actual rental income received. a) I did not receive any rent as it was vacant for last FY, should I show the notional rent or it will be ZERO ? b) My flat is still vacant in this case how to calculate rental income for current FY ? Dear Rakesh ..If you are showing it as Let-out property and kept vacant (2 months), its better to show some notional rent and then calculate the income from house property. –> This is my first own house. My loan amount is 27 lakhs. Property value is 35 lakhs. Can i claim under Sec.80EE. If so how much i can claim? If you have taken possession of the house in FY 2016-17 then you can claim PPI interest (1st instalment) + regular interest payment (subject to ceiling limit) from AY 2017-18. Kindly read: Under construction property & income tax implications. You can claim up to Rs 50,000 under Section 80EE, over and above Rs 2 Lakh . 1. Is there any way by which we can claim our full interest. 2. I read that there is no limit if property is rent out. It is quite strange to me if a person is not residing in the property than he can claim full interest and also claim HRA exemption. 1 – As the property is Self-occupied you can claim up to Rs 2 Lakh (per person). Kindly note that Section 80EE can be applicable in your case. That’s a really nice post on home loans. I have a question on home loan tax benefit as below. I am a pensioner. I have a house (vacant as we stay in another rented house) and recently, I have also bought a new house in our locality on my wife’s name (home maker) and it is still under construction. We have taken a home loan for this new house and I am a co-borrower to this loan and we are paying interest every month. I have read that we can’t get tax deductions when house is in construction, but not sure if that applies to co-borrowers. So, will I be able to claim tax deduction using home loan interest. Also, do I have to declare it as let-out property in the ITR form for this year if I have to avail tax-benefits on the loan in the future? If so, should the rental income be zero? Yes, if the property is under-construction, one can not claim tax benefits (owner or co-owner). Read : Under Construction property & income tax implications. You can declare and disclose the rental income (if any) when you take the possession of the property. I am a PSU employee residing in corporation housing colony provided by the employer with spouse and children at Faridabad. My wife is also working in govt. organisation. I have purchased a Duplex house (say A) in 2010 in Gujarat taking housing loan from employer and registered jointly with spouse . Later on I purchased a flat (say B) in Faridabad in 2013 taking loan from Bank ( In joint name- Spouse & Me as second ) and registered jointly with spouse. I claim tax benefit only on interest on loan taken from my employer on property A (Apprx 1.3 Lac). My spouse claim tax benefit only on interest on property B limited to 2 lac. Since last 20 months both the property is vacant and not receiving any rent. we both file ITR1 and select Self occupied. the interest on property B is more than 2 lacs. How to plan to get more benefit on tax part. Can my spouse claim the entire interest for tax exemption under Let Out? Pl advise. You can treat the Gujarat property as SOP and the Faridabad property as Let-out property kept vacant for whole year. On Let-out property as it is vacant, rental income would be NIL but you can claim whole interest payment. I booked a ready flat in thane in April 16 . loan Amount is 26 lacs. my EMI will start from aug 16 and upto mar 17 approximate interest calculation will be 142000 and for principal it will be 13000. my question is can i claim deduction of Rs 50000 under section 80EE over and above the interest of Rs 142000 ? my flat is completed and builder has also received OC but I am not taking possession since i have not paid Development Chargers to builder. can i claim benefit for Income Tax under section 24 for 142000 ? Dear Nalini ..Yes you can claim Rs 1.42 Lakh + Rs 50k in AY 2017-18 ITR. I asked the same tax queries in Caclubindia.com but i got totally different view point. Even in my office there is different opinion about this . pls suggest. Yes, I stand corrected. Apologies. Once can claim Rs 50,000 only after utilizing the ceiling limit u/s 24. As your total interest payment is Rs 1.42 Lakh, you can claim up to this limit. If you take possession of the flat then you can claim tax benefits. But according to section 24 one can take benefit once construction is completed . For that im providing oc certificate… why possession is required.. any case law is there? Dear nalini ..Suggest you to get the possession certificate and then you can claim tax benefits on home loan. Under Section 24 there is no ceiling for interest in case of let out property. In case of self occupied property, there is a 2 lakh limit on interest. In that case can 50k under 80EE be utilised over and above 2 lakhs? Generally onecan claim interest deductions from income only after the construction of the house gets completed. However the Income Tax Act has a provision to claim the accumulated pre-construction period interest as a deduction in five equal instalments over a period of 5 years starting from the year in which the construction is completed. E.g. If you book a house under construction in June 2013 and gets a home loan of Rs. 20,00,000 sanctioned from a bank. then you can claim this entire sum of Rs. 200,000 from the FY 2015-16 onwards as RS. 200,000/5 = Rs. 40,000 each year until FY 2019. This pre-EMI interest is a part of the total Rs. 2,00,000 deduction available in case of self-occupied house property. Yes,it can be utilized if the actual interest payments are more than Rs 2 Lakh. We declare 2 flats rent income each as sublet property income, we do not claim HRA has we live in a own flat and declare as SOP. Can you please suggest any other option to claim better tax benefit. Yes, if it is possible you can gift or include your spouse as co-owner of the property (for certain portion of the property) and then she can disclose her portion of rental income in ITR (if her income is below basic exemption limit then filing ITR is not mandatory). Can I make a gift deed and include my wife as part owner of property with the loan still existing (loan is from SBI bank) ? Dear satish … I missed ‘clubbing of income’ clause. Apologies. If you gift the property, no taxes on this transaction. But the rental income received by your spouse will be clubbed to your income. Is there no way to avoid clubbing of income? There is no benefit in transferring property to wife otherwise. You can add her name in the Sale deed as co-owner of the property and receive adequate consideration, in this case it won’t be treated as a GIFT. For example – where the husband to reduce his tax liability transfers an asset (full portion) worth Rs 1,00,000 to his wife for Rs 50,000 . 1/2nd of the income from this asset will be taxed in the hands of the husband. If he receives no consideration, in that case the entire income from this asset will be clubbed with the husband’s income. Does that imply that I can fill and submit ITR 2A for AY 2016-17 ? Please do let me know.Thanks. I need to know your other sources of income to advise..
Kindly read: Which ITR form to file? Other sources of income is none. I have 2 properties. One is self occupied and other one is deemed let out. I am a pensioner and that is my only source of income. Which ITR form is applicable here? ITR 1 or ITR 2A? The instructions on incometaxindiaefiling.gov.in state that ITR 1 is applicable if you have ‘Income from One House Property’. Since I own two properties but earn (deemed) income from only one property is ITR 1 applicable in my case? You have to file ITR 2A. I have 2 properties in the same city, same apartment. I have home loans for both the flats (one was take in the year 2009 and the other flat was purchased in 2016 with another home loan in the year May 2016). The first flat is occupied by myself(me, spouse and kid) and the newly purchased flat is occupied by my parents. Need your guidance, how to get tax benefits on the interest paid on both the properties. You may declare the property in which your residing as SOP and treat the other one as Let-out property. I bought an apartment in Vijayawada and cleared all the loan during 2014. Gave it for rent of Rs. 12000. Paying 5200 per year property tax. I am staying in Chennai and paying 15000 rent. I am not claiming for any house rent deduction as I am getting some rent and paying rent. After going through some blogs realized that I am paying more rent than what I am getting. Request your help in understanding my case from an IT tax expert perspective and what should I do. If you are employed and receiving HRA, you can claim it. Regarding own property, you have to calculate the ‘income from house property’ by adding rental income minus standard deductions & property taxes. I had taken a home loan for a flat in Noida in Sep’11 and first disbursement was in Dec’11. The construction completed in Sep’14 but registry was not possible because of National Green Tribunal case on Okhla Bird Sanctuary and final offer for possession for registry came in Mar’16 and registry got completed in April’16. I took possession once authorities allowed/released the Occupancy certificate for property which was on-hold due NGT orders. I took possession in April’16. Very tricky situation..I believe that you can claim income tax deduction of up to Rs 30,000 only. Suggest you to kindly check with Tax expert too. Giving CASH in the form of GIFT to parents – How effective it is as far as Tax savings is concerned? Please also specify of there is any regulation associated with it. Received Gift – Find out if it is taxable or tax-free? May I continue to remain living in rented property even though I have my flat in same city (Pune). My flat has loan over it. So that I can simultaneously take benefits of HRA as well as Loss on House Property by giving my flat on rent. I am doing so since my current residence (which is rented one) is comfortably situated from perspective of office commute & kid’s school vicinity also. Thanks Shreekanth. My owned property is 35-40km from work location whereas rented one is approx 20km. Now since I will take the possession in July 16, can I avail the tax benefit on home loan interest which I have been paying since june 11 till date in the FY 2016-17, if yes please guide. Actually, you can claim tax deduction of up to Rs 30,000 only (assuming this is a Self-occupied property). But there has been a recent change of rule/provision in Budget 2016-17. 1. As of now the property is not self occupied as the place is not livable, it will be kept vacant, and I will be staying in rented apartment. 2. Now since I have taken loan in june 2011, am I eligible for 20% deduction on the interest amount for last 5 years. Till Assessment Year 2016-17, the construction has to get completed within 36 months to claim income tax deductions on home loan payments, else one can claim up to Rs 30,000 only as tax deductions. There has been an amendment to this rule as given in my previous comment. Yes, you can claim the tax deductions from Fy 2016-17/ AY2017-18. The construction was already completed in 2011, and I had taken the loan at same time, hope I can go for deductions of 20% per year on home loan interest. Dear Puru..If the construction has been completed then may I know as to why the possession is happening in 2016? Delays were sue to other government agencies providing clearances. I am a salaried individual. I have 15 year old (A) house located at 50km from Mangalore which is vacant due to no demand and having only a loan interest of Rs.50000/- (paying Rs.2100pm) to my employer. I bought a flat (B) at Mangalore in Feb.2011 for Rs.40Lakhs from bank loan and paying an emi of Rs.35000/-. Outstanding loan is 26Lakhs and annual interest outgo is Rs.240000. Flag (B) is self occupied. 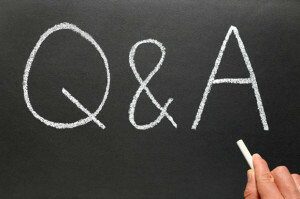 I am greteful, if you could advice me, How can I maximise the tax benefit without changing the present occupancy status. The only option is to declare the Property B as Let-out one and claim the entire interest payments as tax deduction. For that you have to change the occupancy status, right?? Is there a chance to add anyone (ex-spouse, who is an earning individual) as co-owner and co-borrower? My office is in Powai Mumbai and have property in Thane. As I want to stay near to office I am staying in powai and given my thane flat on rent. I can not claim HRA for the Powai home because of some reasons. Can I do not claim HRA on powai home and show my thane house as self occupied? Please let me know. Dear Kapil..Have you taken home loan? Yes I have taken the home loan. If you have given the property on rent and have a home loan on it, you may show it as ‘LET-OUT’ property and claim the total interest payments as tax deduction u/s 24. If you do not want to do this, you can show it as Self-occupied property provided your tenant does not claim his HRA quoting you as a Landlord. Thanks Sreekanth. Tenant has his own business of interior decorator so he will not quote HRA. Also one more question on same line if I have two properties in same city one is self occupied(A) and other is let out(B). Both properties have home loan. But self occupied property is having more home loan interest which going beyond 2 lakh and let out property is having lower rent and lower home loan interest. So can show let out property(B) as self occupied and self occupied(A) as let out and claim their interest accordingly? If yes then can I show rent I have received against original let out property(B) as I am getting for original self occupied property(A)? One more thing to check if you missed my above post if I have two properties in same city one is self occupied(A) and other is let out(B). Both properties have home loan. But self occupied property is having more home loan interest which going beyond 2 lakh and let out property is having lower rent and lower home loan interest. So can show let out property(B) as self occupied and self occupied(A) as let out and claim their interest accordingly? If yes then can I show rent I have received against original let out property(B) as I am getting for original self occupied property(A)? Yes, you have the choice to do so. If you own 2 properties in same city, it can be beneficial to declare property which has higher Home Loan outstanding amount as Let out and 2nd one as self occupied. It is your choice to declare a particular property as Self occupied or Let out. The property with max interest outflow can be declared as Let out property and other one as self occupied property. But what is the rent should i show for the higher Home loan outstanding amount properly(A) if i show it as let out. Is it which i am getting from the from the my other property(B) which rented out and showing as self occupied? Dear Kapil..You may show the average rent that is prevailing in the location. I have my own house in Mumbai and staying there now(No loan for this house). I have purchased a new house at my hometown in Tamil nadu in 2015 and my parents are staying there. I am paying the home loan for the same. Can I avail the Tax exemption for the house in my hometown in Tamil Nadu. Yes, you can treat it as either Self-occupied or Let-out (if parents pay rent) and accordingly you can claim income tax benefits. Read: Self-occupied property & Income Tax implications. I ,am Mr.Rakesh Sapui age 72,have given my home in rental basis to a client and getting 37500/month as rent from him. can you tell me how much amount i have to pay as Income Tax to the Govt. also let me the calculation basics this this. The income tax slab rate is dependent on your other sources of income. Also, out of this rental income you can deduct property taxes , 30% standard deduction & any interest on home loan (if you have loan) and then arrive at ‘net income from your house property’. Suggest you to use tax calculator available at income tax website to calculate your tax liability , click here ..
what is the tax position. Dear Swami..Kindly go through this document.. 1. )Will I be eligible to avail 50000 Rs additional tax exemption under sec 80EE for FY 2016-17 , if my loan is sanctioned after 1 April? 2. )If yes, for how many years will i be eligible to avail 50000 exemption. 3. )The builder aims to finish the construction in FY 16-17 , so can i avail Sec 24 tax benefit for this FY. 4. )Can i add/remove/replace co applicants or co borrowers in a home loan in between the loan period , in case when i get married. 2 – As of now, its for FY 2016-17 only I guess, we can get to know about the continuity of this section in next year budget (2017-18). 3 – If you get the possession of the property in FY 2016-17, you can claim tax benefits from FY 2016-17 (AY 2017-18) itself. 4 – Adding , absolutely no problem. But removing, you need to check with your banker. HI Srikanth first off all i thank you that your blog is very hepful. My query regarding this topic is, My father registered house on my name. Now i have got one house on my name, now if i plan to buy a constructing house or constructed house do i am eligible for tax deductions under 24b and 80 EE. kindly can you explain this scenario. Next can you explain another scenario where sec 24b and 80 EE will applicable to under constructiong house which will be completed with 1 and half year of span. Have you taken any home loan (on existing property)? Are you going to take home loan to buy the new property? This is a new proposal which has been made in Budget 2016-17. First time Home Buyers can claim an additional Tax deduction of up to Rs 50,000 on home loan interest payments u/s 80EE. The below criteria has to be met for claiming tax deduction under section 80EE. I have a query regarding 2 housing loan. Joint home Loan in the name of me and my wife disbursed in December 2015. will be getting possession of flat prapose ed oct 2016. We paying approx 70000 till march 16. EMI paid by my wife account to Joint loan account coz her salary account in same bank. 1 So you told earlier 70000 will divided in five parts for next five FY.is that means 14000 for each year under sec.24. 3 can we both avail 2.5 lack for sec.24 and 1.5 lack for 80c. separately. Where the EMI deduction on joint account done by my wife’s account only. 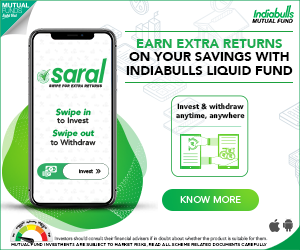 2 – Rs 2 Lakh. 3 – If your EMIs amount to interest payment of say Rs 5 Lakh, each of you can claim Rs 2.5 Lakh u/s 24. I own a land having car parking sheds. I want to let out the sheds for car parking to others on monthly rent. My query is whether the said income will be treated as House Property Income and will I get deduction of 30% u/s 24 as repair etc. ? Dear Sunit..I believe that you can not claim standard deduction. Hi Sreekanth, Thanks for nice article. I have own flat in Mumbai, where I am staying and paying EMI. I have taken Loan for second flat in Pune in April-15. also will get possession in Feb-16. Please correct me on below understanding as per above dates. I assumed Municipal & standard 30% deduction for second home but not mentioned in below statements. Q1. Can I call Home 1 as SOP and declare actual rent of Home 2 of Feb16 & Mar16 Month only ; Home 1 claim as Principal amount & Interest up to Limit of 200000. For H2 entire Interest claim. Actually if one has two properties in the same city, he/she can opt for NAY one of the property as SOP and the other one as LET OUT. Since you are residing in Mumbai, ideally you have to treat the property in Mumbai as SOP (the same would have been recorded in your employer’s database also , if your a salaried). I believe that scenario 1 looks correct to me. I have a query regarding 2 housing loan i have and income from house property. below is a case with me. 1.1 Full EMI is started from January 2016 – can i claim the pre emi for Jan, Feb n March 15 in financial year 2016 after possession, will be getting possession on May 2016 . 1.3 would like to claim the interest paid under sec 24/B with no limits of 2 lac – i might end up paying around 3.2 lakhs as interest only for financial year 2015-16, can i claim ? 1.1.1 Pre EMI started from Feb 2014 and ending on Feb 2016. 1.1.2 All these pre emi paid around 3.7 lakhs in 2 years can be divided / 5 and every year it can be claimed up to next 5 years along with actual interest paid after possession in this year subject to a cap of 2 lakhs – is this understanding correct? oe 2 lakhs cap is only when i go n stay there in flat? 1.2.1 Can i still claim 1.1.2 ? 3.1 since the work place is far from the location where i have acquired the property, i would like to still continue in rented house and claim HRA – is this Ok ? possible ? Please let me know your view on this . Under-Construction property & Income Tax implications. Self-occupied property & IT implications. I stay in a rented flat in Mumbai and I am planning to purchase a ready to occupy flat in the same building. 1. If I continue to stay in the rented house and let out my owned flat, can I avail both HRA as well as Interest (sec 24B) deduction from Income tax? 2. If I move in to my own flat, is there any way of availing the Interest (sec 24B)(beyond 200000) deduction from Income tax? You have to consider it as Self-occupied property. You can not claim HRA. You can claim interest as tax deduction of up to Rs 2 Lakh. Thanks. On the same query, I own a house at my home town occupied by my parents (I have been showing it as self occupied). I am planning to buy a house at my work place (> 500 km away from home town). I read somewhere that if an individual owns more than one residential property, any one residential property at the discretion of the individual is considered as self-occupied property and the other residential property owned, even if it is not actually let out, will have to be considered as “deemed let out property” (DLOP). Using this clause, can I show the hometown house as self occupied and workplace house as deemed let out and claim interest exemption us sec 24 (beyond Rs. 200000) after duly netting deemed rental income. If you are working in a location which is far away from your native, it can not be treated as self-occupied when you have two properties. So, ideally you have to treat your property which is near to your work location as self-occupied one. Also, you may declare the property near to location as the place of resident with your company right?? This may create unwarranted trouble. I own a house in my home town, occupied by my parents. I am purchasing a new house in my workplace with much higher interest amount. My reading says that I can choose to show any one property as self occupied and one as deemed let out. I will show hometown property as self occupied (by parents) and workplace property as deemed let out (even though I stay there). I will show nominal rental income as per rules. This way I can get claim interest loss without any limits u/s 24(b). I will/can not avail HRA exemption. Is there any issue you see in this arrangement? Dear Ravi.. Looks fine. Kindly note this is possible only when a tax assessee has one ore more self occupied properties. Are you investing in any Tax saving instruments? I have two plots. In Plot1, I am planning to start the construction this year end. I bought Plot2 in Feb-2013, so planning to sell after Feb-2016 to avoid STCG. I guess by the time I sell plot2, my house construction would be almost finishing. Can I get the tax exemption for the plot2 sold? What should I do get the tax exemption using the house construction. I dont have any house now. Please help me understand tax exemption in this scenario. Plot 1 – Are you going to take any home loan for the construction? Plot 2 – Section 54 provides for capital gains tax exemption when a taxpayer sells his residential house, held for more than three years, and purchases or constructs ‘a residential house’ within the specified period. Such exemption is available to the extent of reinvestment in the new house. So, as per this section it refers to ‘house’ and not plot. my son is studying degree and earning income on tutions during vacations, which ITR form appropriate form to file the return. Dear subrahmanyam..he can file ITR 4S. My last year Gross salary per annum was Rs.799487 and paid Tax Rs.45360. And this year Gross salary per annum is Rs. 1002375 and payable tax is Rs. 86654. My questions are below for clarifications. Dear Sarivesh..Was there any changes to your salary structure (perks, allowances etc.,). Need to look at your Form 15 or payslip to advise you further. Change of slab could be a possible factor. Kindly go through the list of available ‘Tax exemptions for AY 2016-17‘. I bought one flat for 5 lakh in 1999 and sold it for 20 lakh in Dec 14. I invested the 20 Lakh in plot without building in April 15. I reside in rental accommodation @11000. please help with my tax liability. Kindly use the download the Excel utility software from IT efiling website and calculate the tax liability. It is pretty easy. Let me know if you need any assistance. I have with me Rs 75000/- which I have to invest in a tax saving tool or ELSS in a lump-sum. I have read your article on ELSS. but since it is 8 months old can you please give fresh advice on which ELSS to opt for. My recommendations remain same. Investments in ELSS fund(s) should be for long-term. It is better to stick to good performing funds for few years.